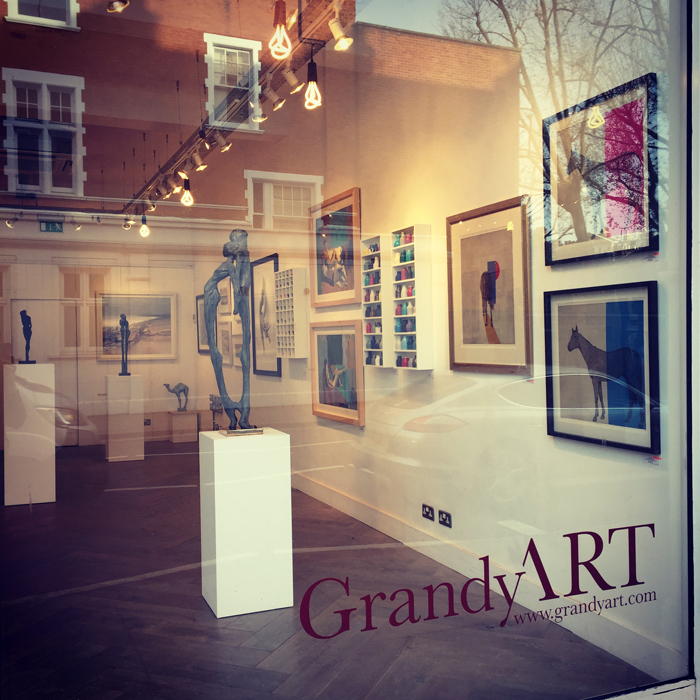 GrandyArt is an art consultancy working with emerging British artists to present a carefully selected portfolio of original, quality work by artists who are increasingly establishing their reputation in the contemporary art market. Representing predominately young, up and coming artists, GrandyArt offers new and experienced collectors the opportunity to discover some of today’s most talented new names. We also work in partnership with some of London’s top established dealers to complete the mix of the best ranked artists in their field. Hosting regular exhibitions and art events across central London, we aim to provide both artist and collector with a quality, lively approach to today's art market. Working with private clients, interior designers and corporate collectors, we also advise clients on finding the right artists and artworks to fit their specific interests and budget. Selected consultancy clients include InterContinental Hotels Group, Bank of America Merrill Lynch, Ruffer LLP, Saigol DDC, The Hospital Club and Adam Street Private Members Club. All artwork is available to view by appointment.